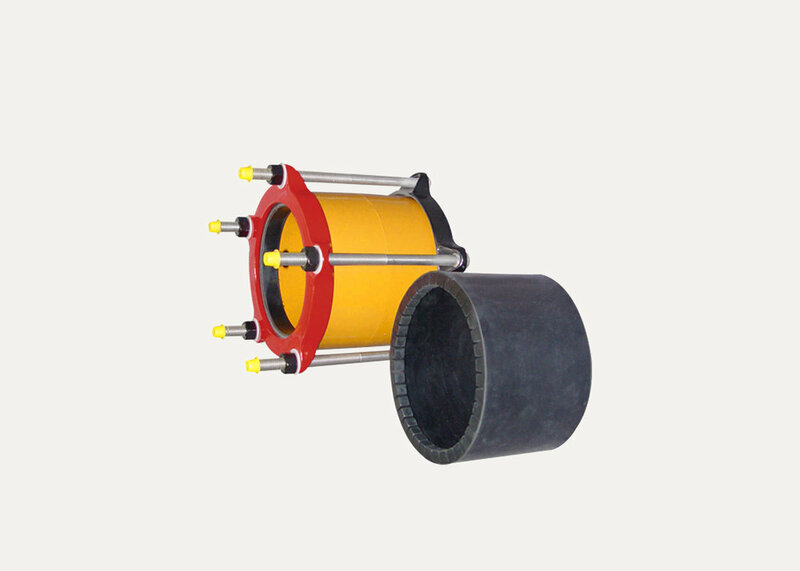 Ductile iron coupling with insulating boot. 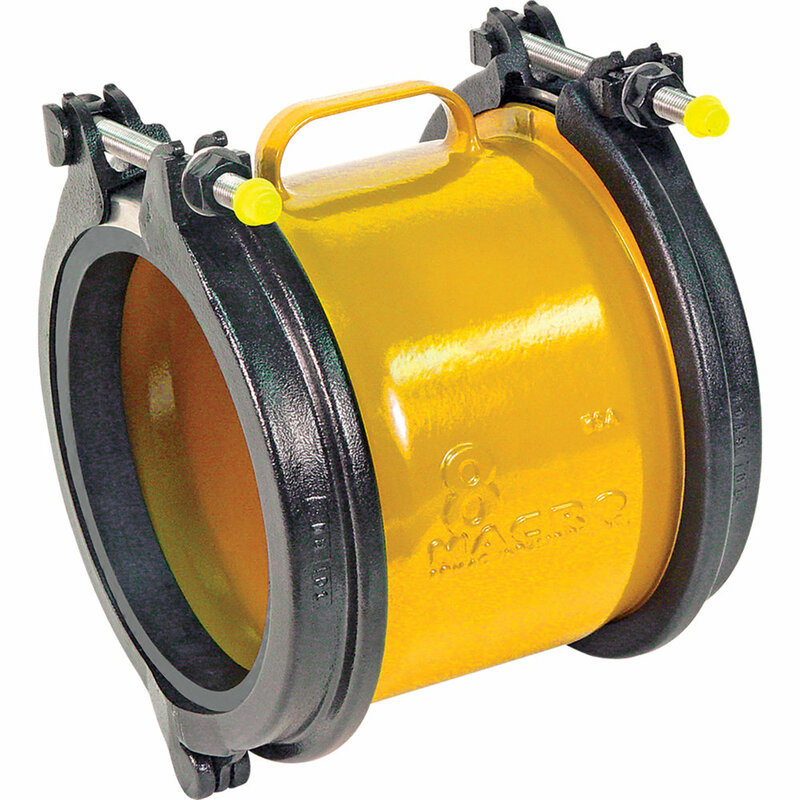 The IC501's insulating boot stops electrolytic action by isolating one pipe from the other. USE Couples pipes of dissimilar metals. Flexibly couples pipes of same or different diameters. COMPATIBILITY Steel, cast iron and other types of metallic pipe. GASKETS Gaskets are made from virgin Styrene Butadiene Rubber (SBR) compounded for water and sewer service in accordance with ASTM D 2000 MBA 710.